I find it extraordinarily hard to believe that this post is going to be foreign to anybody—with a series that's been around since 1994, most people reading this blog have had it around for a good chunk of their lives, and it's been everywhere. From the Super Nintendo Entertainment System (SNES) all the way to the Nintendo Switch, this series has been continually having us explore new worlds, find new secrets, and meeting new characters. And besides the main series titles, there have been countless spinoffs, cameos, and even a television series—making this universe land very close to many peoples' hearts. Donkey Kong Country (DKC) is a series of games that were originally developed by Rare, and later Retro Studios that stars everyone's favorite monkey-family, the Kongs. In the first installment, which released in late 1994, you play as Donkey Kong and his nephew Diddy Kong (who is arguably the most recognizable character) to recover a stolen hoard of bananas from King K. Rool and his Kremlings. Now, why a lizard in a crown would steal a hoard of bananas (short of creating a plot or maybe to satiate an unyielding hunger) is beyond me, but believe me when I say it made for one of the most memorable and entertaining games on the SNES. The DKC series for the SNES introduced an art style that was unique and honestly was one of the most beautiful style choices from the whole console. The backgrounds are rendered in 3D, and then scaled down to a sprite-level (called pre-rendered) in order to produce pseudo-3D backgrounds that make the game environments even more engaging and making the player feel like they're actively a part of these massive worlds, and the stylings even trumped some early 32-bit-era games. Between the art design for levels and characters, these games made a serious impression in the gaming space. The Pre-rendered artstyle for the backgrounds created inviting, beautiful worlds that are easy to get lost in. Rare produced the first three games in the DKC franchise, all of which originally released on the SNES. 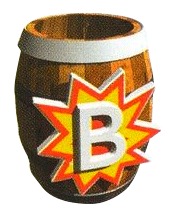 DKC is a series of 2D platforming games, requiring the player to jump, run, roll, and shoot out of barrels until they eventually hit the end of the level. Littered throughout the levels are tons of memorable enemy types, from the Kremlings under the leadership of King K. Rool to the Sonic The Hedgehog-looking Cat-O-9-Tails, each with their own abilities, strengths, and weaknesses. Some can be jumped on to defeat, while others require more cunning like throwing a barrel behind them to avoid their armor or requiring explosives to remove them from the map. Coupled with the platforming aspects of the game came (arguably) the introduction of a gaming concept that became a staple in 3D platforming games: the collect-a-thon. A collect-a-thon is simply a game that has several different items/rewards for the player to collect in each level. For some games, this leads to unlockables, secrets, and content that the casual gamer might not experience, and in DKC it's no different. In the first entry of the series, each level has bonus barrels where you can earn additional lives, bananas, and navigate through levels easier, as well as the famed K-O-N-G letters that are available to collect in each level, and the Banana Birds unlockable in DKC3. Starting with the second entry in the series, and carrying through to today, the collect-a-thon aspects expanded. Each level had at least two bonuses that reward "Bonus Tokens," and these are required to fully complete the game (with some levels being gated behind a token-requirement). 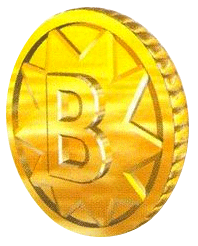 They also introduced the idea of "DK Coins," which were originally hidden in each level in the second entry of the franchise, and then became something you received from the Koin enemy in the third game. The collect-a-thon aspects of this game definitely had an influence on more modern titles, from Banjo-Kazooie to Super Mario Galaxy, and paved the way for the 3D platformers we all know and love. The DKC franchise introduced a ton of names and faces that we still see all over today. The most notable being Donkey Kong and Diddy Kong. Both of these Kongs make appearances throughout gaming history, from Super Smash Brothers to one-off games like Diddy Kong Racing. 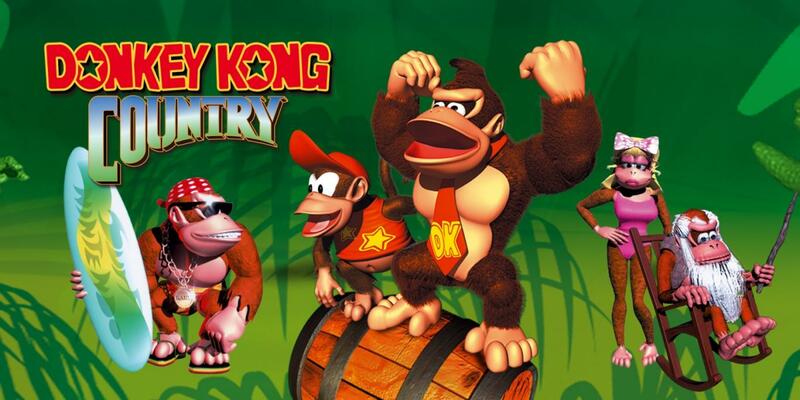 These are easily the most iconic characters of the franchise, and whether you know Donkey as Mario's nemesis, or the lovable ape that gets kidnapped in the second and third entries of the DKC series, they definitely hold some place in your heart. The Kong family is really extensive, with each Kong playing a vital part in some portion or the story or another. 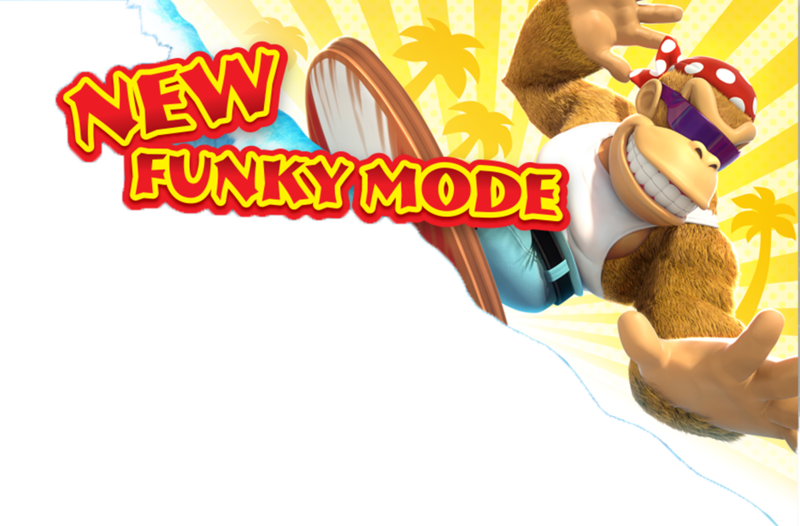 The next notable Kong is Funky Kong, who is potentially Donkey Kong's brother. Funky is your main source for travel through the first DKC games, whether it's providing a shuttle service between worlds or building you new vehicles to navigate the Northern Kremisphere. Alongside Funky Kong are two other main Kong's that help you along your adventure: Candy Kong and Cranky Kong. The cast and crew of several of the Donkey Kong Games - even featuring King K. Rool. Candy Kong is the love-interest of Donkey Kong, and in the first entry in the series, she is the character that you go to in order to save your game. Although she doesn't appear frequently in other titles, she does make cameo appearances in the minigames that are available in DKC2 and DKC3. Cranky Kong, also referred to as Donkey Kong Sr., is the grandfather of our main protagonist Donkey Kong. Cranky offers advice throughout the first game, from where to find secrets to the weaknesses of the enemies you will run across. In the later games, Cranky offers minigames to the player in return for collectibles. Cranky is canonically the Donkey Kong from the original games, and was the one who kidnapped Pauline, fought Mario, and even battled Stanley the Bugman in a greenhouse. One of my favorite aspects of the cast of the DKC franchise is that of the Animal Buddies. These are a variety of animals that assist the DK crew on their quest against the Kremling Krew, and are found usually by finding Animal Crates, or by visiting a level that requires their mechanics to complete. 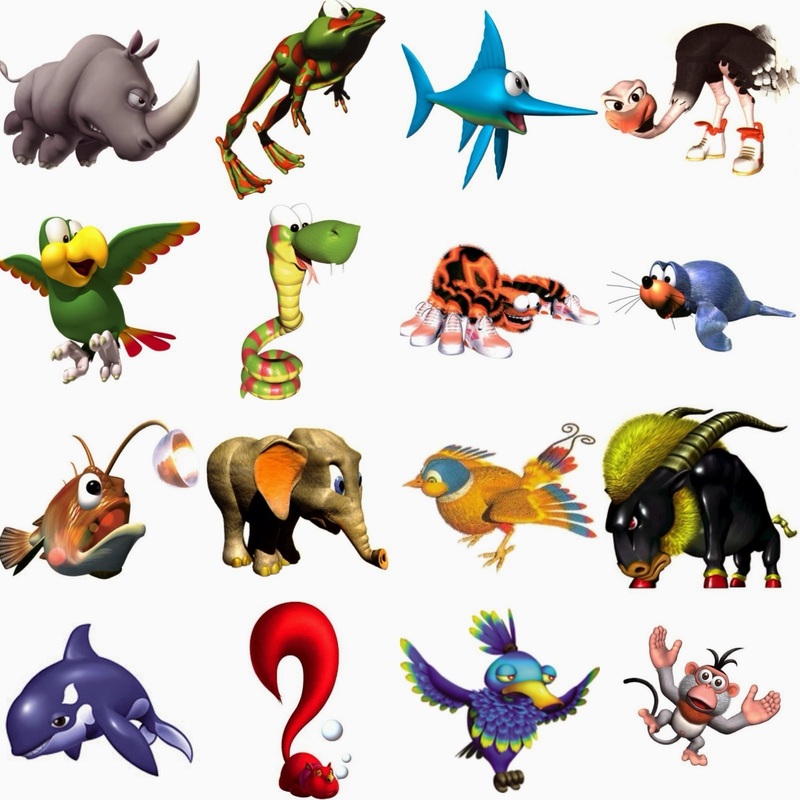 These animal companions range widely in type including Rambi the Rhinoceros, Winky the Frog, Enguarde the Swordfish, Expresso the Ostrich, and even Squawks the Parrot. Each of them has unique abilities, from flying and shooting coconut-like pops at enemies, to using their sheer size and horn to break through hidden entrances in rocks or buildings; they amplify the gaming experience and help the player to unlock secrets and breeze through levels a little easier than if they hadn't found them. The cast and crew of all of the animal buddies available throughout the franchise. Beginning in 2002, Rare was acquired by Microsoft, and their production of the DKC games stopped. Wanting to continue creating games with the Donkey Kong property, Nintendo started working with Retro Studios to create the next entry in the franchise. 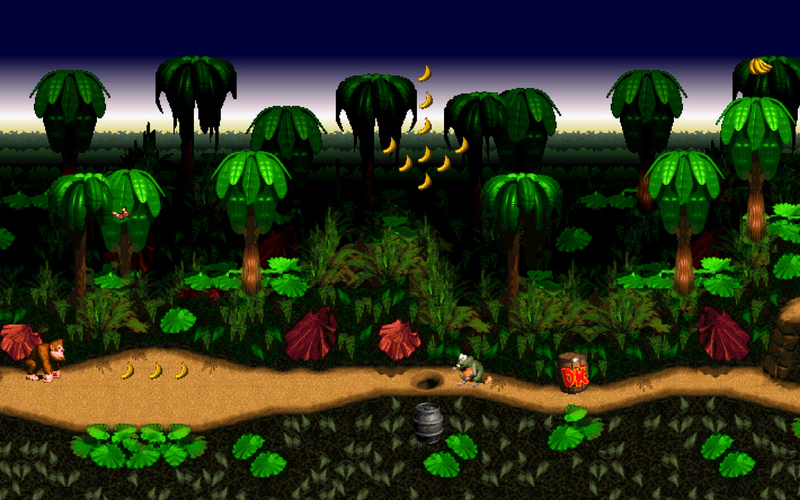 Retro stepped up to the plate, and in 2010 Donkey Kong Country Returns (DKCR) was released for the Nintendo Wii. DKCR brought back the classic 2D platformer we all knew and loved after 10 years with a very modern feel to it. To start, the hardware in the Wii system was much better than that of its predecessors and because of this, we saw a glorious upgrade to the graphics—putting our favorite 3D DK Sprites into a sidescrolling world. This game plays much like the originals, with Donkey and Diddy Kong being your main characters, and your quest being to stop the evil forces (in this case, the Tiki Tak Tribe) from stealing and hoarding all of the Kong's bananas. 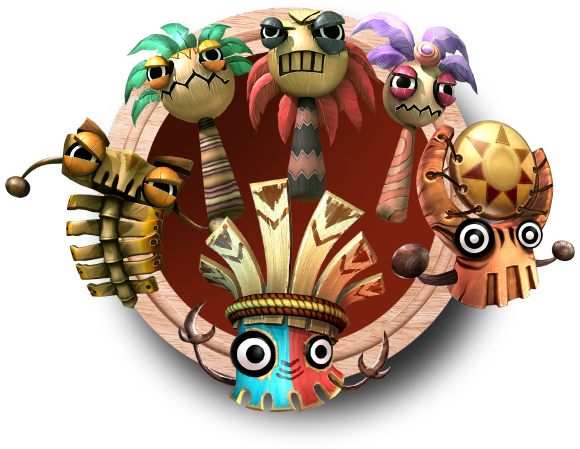 The Tiki Tak Tribe, a big difference to the normal Kremlings the Kongs are used to facing. This addition to the franchise, and the later addition of Donkey Kong Country: Tropical Freeze, both keep the same collect-a-thon feel as the originals, with the addition of the ability to purchase upgrades from the shop on a per-world basis. The upgrade that is most important is Squawks, who used to be one of the Animal Buddies you could encounter. In these, Squawks can be purchased for Banana Coins to help let you know when you are near a secret in any given level—increasing the likelihood of a player being able to find all of the secrets throughout the game. With DKCR, Retro also implemented a feature for those who completed the game. Mirror Mode was added, allowing the player to play through the game again, but this time with every level reversed, meaning you play from the right side of the screen to the left. This feature added an additional layer of difficulty, as it forced the player to unlearn the techniques from their earlier playthroughs in favor of reversing all of the movement tech. Now, as the title suggests I have a rather large bias toward the DKC franchise. It's one I grew up with, and Donkey Kong Country was the first video game I ever had the opportunity to play to any large extent. That being said, these games have aged...adequately. The graphics quality isn't great, especially by modern standards. The controls, however, have stayed relatively consistent even through to the newest entries in the series. I love the DKC franchise for a lot of reasons. From the tech required to complete the levels, to the characters and the way they interact with the world around them, to the ambiance and level design that draws me back every time. These games are perfectly geared for speedrunning as well, which is another reason that I love them so dearly. I would recommend that anyone who loves video games, and especially those who love modern platformers like Yooka-Laylee or A Hat In Time—if for nothing else but to experience where some of the core concepts for these games originated. With that being said, more casual gamers, or those who might not be invested into the series like I am should definitely try out the more recent games. If you have a Nintendo Switch, Donkey Kong Country: Tropical Freeze is a phenomenal game that captures the heart of the DKC franchise. The added benefit to playing this game on the Switch is the "Funky Kong" mode, where you can play as Funky Kong. This mode offers you five hearts instead of two, and the ability to hover, walk on spikes, and generally makes the game super easy. With this mode, the player should be able to experience the wonderful world that is Donkey Kong Country without breaking the law (emulation), or without the headache that is later levels in platforming games.